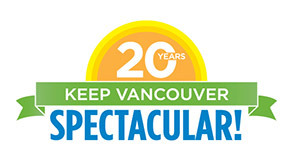 The Keep Vancouver Spectacular (KVS) initiative, which brings together thousands of passionate volunteers for an annual spring clean-up, is entering its 20th year. 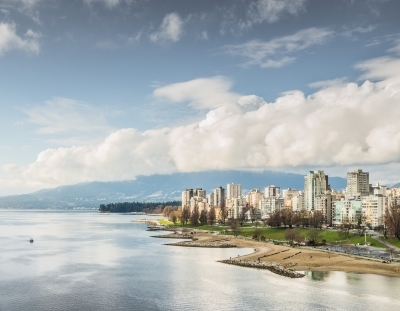 Originally created by the City of Vancouver and Tourism Vancouver as part of the city’s bid to become an Olympic Host City, KVS has helped communities engage and connect in new ways. Since the initiative’s inception, Vancouver has grown immensely as a host and tourism destination and will welcome the FIFA Women’s World Cup this summer. To celebrate this landmark occasion, the City of Vancouver is planning a large celebration to honour volunteers and participants. On April 25th, there will be clean up events and graffiti paint outs throughout the West End and downtown core. Following the clean up, a special ceremony and event for KVS clean up volunteers will take place at the north plaza of the Vancouver Art Gallery. The event will include involvement from FIFA, VPD Mounted Squad, BC Soccer Association, and the Great Canadian Shoreline Cleanup. For those who would like to volunteer and take part in the cleanup and celebration event, please contact keepvancouver.spectacular@vancouver.ca or visit www.vancouver.ca/kvs. For those unable to attend, follow along with the festivities on Twitter with the hashtag #kvs20th.